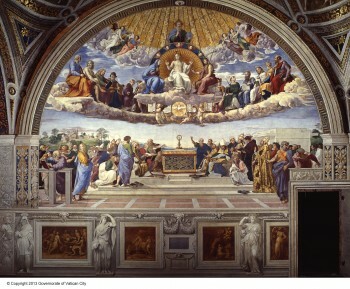 Recently I had the pleasure of previewing a film from SKY Productions titled Vatican Museums 3D. The film, as you may guess from the title, takes viewers on a tour of the sculptures and paintings in the Vatican art collection. For someone such as myself who has never been there the film was a treat. Professor Antonio Paolucci , Director of the Vatican Museums, “directs the tour” so to speak during this film. You will a number of statues in the collection including Michelangelo’s Peita. Paintings by Van Gogh, Leonardo da Vinci and Dali are also shown. Of course, a project like this would be incomplete without the works by Raphael in the Rooms of Raphael including “The School of Athens” and the breathtaking enormity of Michelangelo’s work in the Sistine Chapel. Hearing some of the stories of how various popes acquired and commissioned the pieces in this collection was very interesting and added to the beauty of the pieces as they were shown. Regrettably the preview I watched was only available via 2D. I can only imagine what this film will look like in 3D theaters, which is how it is meant to be viewed. You have an opportunity to enjoy this film this Wednesday, 12/10 as it shows in select theaters across the United States. Visit the link below for a listing of locations by state.